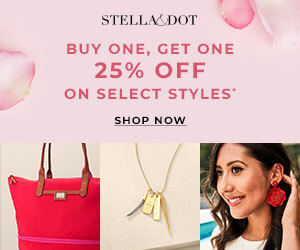 Here's another favorite that I recently discovered that definitely went on my list! I seldom use body wash because I don't like how they leave my skin soapy and sticky after a bath. Plus, I was already contented with my daughter's body wash, which I only got to use whenever I want to. So I guess it's safe to say that I am a bar soap kind of person. 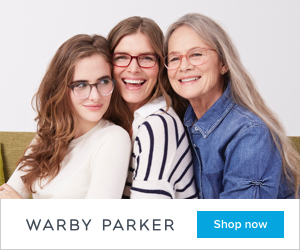 But you see, there's nothing wrong in trying and testing other products of body washes every now and then. And there were only a select few which I really liked, BUT never intended to purchase again. 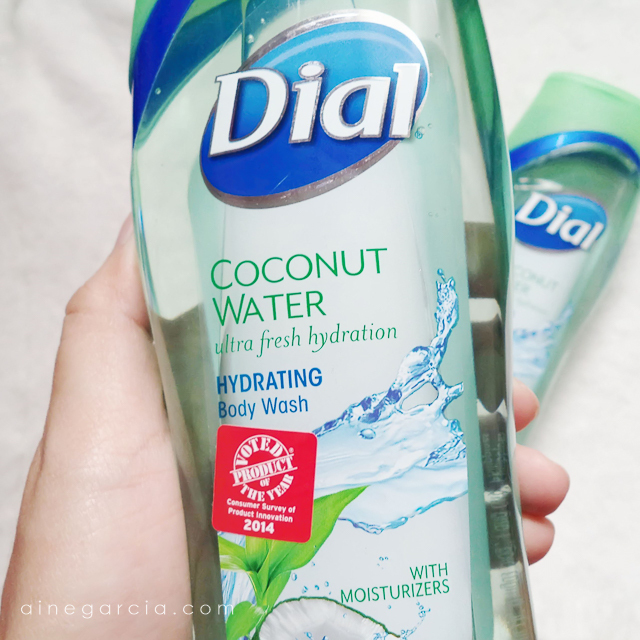 So I was really ecstatic to be given a chance to try Dial Water Coconut, especially when I found out that the body washes come in a big bottle! The body wash comes in a clear gel-like form, it's the first time I got to see such consistency for a body wash. This one also lathers so well and is more fragrant than the bar soap. However, the scent of the body wash doesn't linger long unlike of that of the bar soap. Now, just like any other body wash it did leave a "soapy after bath" feel. Though, not as much like the other brands, this one is manageable for my preference. And it really does moisturize my skin to the point that I don't need to put on some lotion after bath. Which, indeed, kept my skin fresh and hydrated. Overall, I had a perfect experience with this body wash! In fact, I'm letting my daughter use it too, which I think is gentler on her skin compared to her regular brand. 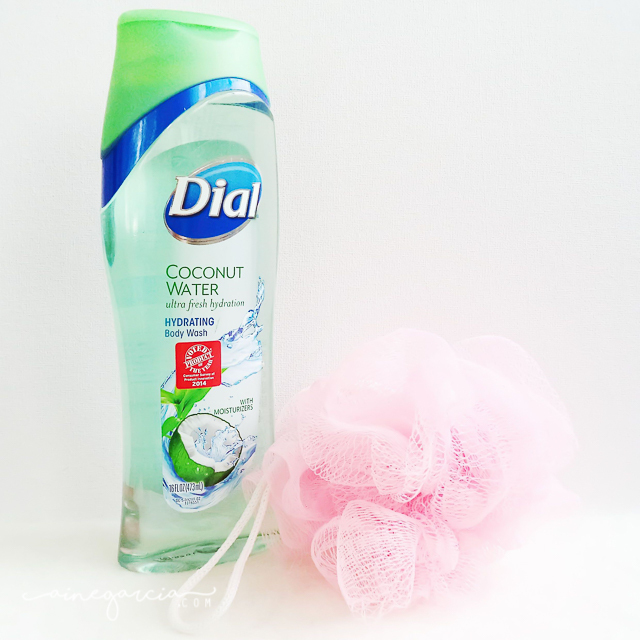 And just like the bar soap, I do recommend that you try Dial Coconut Water & Bamboo Leaf Extract Ultra Fresh Hydrating Body Wash and see for yourself how good this product is. Dial Coconut Water & Bamboo Leaf Extract Ultra Fresh Hydrating Body Wash can be bought for only Php 199.75 available in all leading supermarket. Definitely worth the price for a big bottle of 473mL. 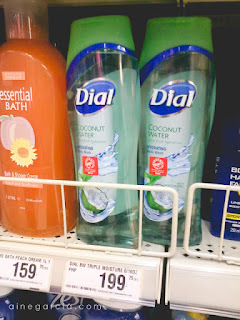 You can read my intro regarding Dial Coconut Water here & my review of the bar soap here. 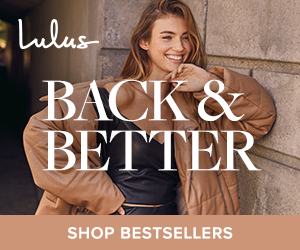 Disclaimer: I was given a free Dial Coconut Water & Bamboo Leaf Extract Ultra Fresh Hydrating Body Wash and Glycerin Bar Soap in exchange for a review. Regardless, all opinions are 100% my own.